THIS DEAL IS NOW OVER. THANK YOU! 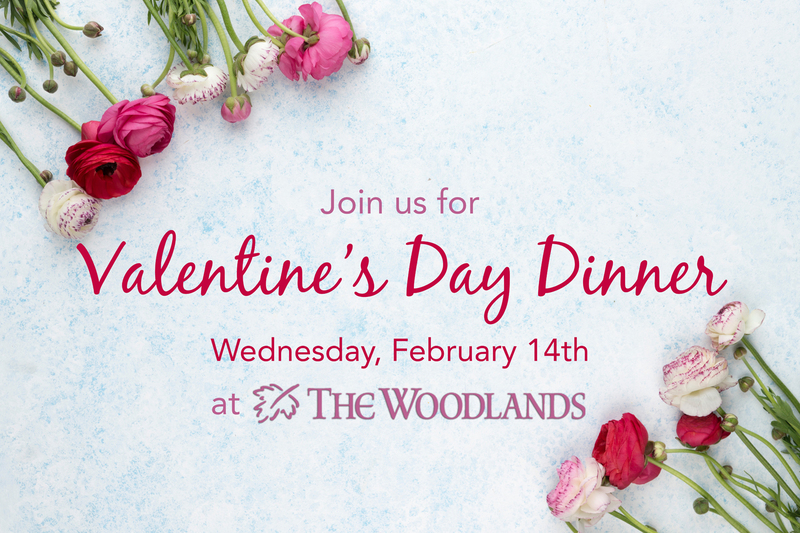 Celebrate Valentine’s Day with Dinner and Dancing at The Woodlands! Woodland’s intimate Valentine’s Day dinner. An elegant experience with white glove service in the ballroom. To Make Reservations, Call Us Directly at: 800-762-2222 – Use code: “VALENTINE” for Special Room Rates.